Nokia has been focused on its Lumia devices and we have already seen several devices this year under the Brand. 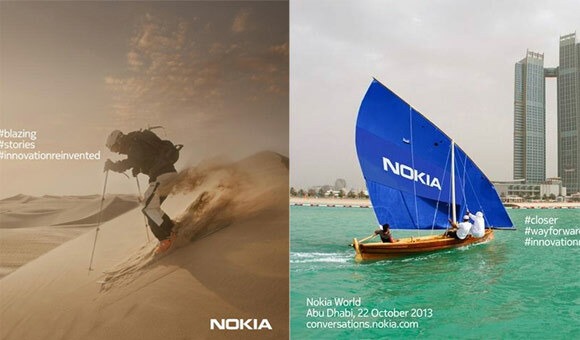 Addition to the Lumia family is set to happen as Nokia has announced an Oct. 22 event named ‘Innovation Reinvented’ set to take place in Abu Dhabi. The event is set to introduce to us several devices and Nokia is slowly letting the details out on the event. The smartphone manufacturers who sold their hardware division to Microsoft is set to announce atleast 6 devices on that day. Among those six devices, we can atleast expect 2 Lumia Phones running on Windows 8. One of the most heavily rumored and widely anticipated Lumia is going to be Lumia 1520; a 6-inch phablet from Nokia. We can also expect a Windows Phone Tablet from Nokia considering their recent takeover. Rest of the devices are going to be mid-range Asha Phones.